There’s a small price on this huge truck! 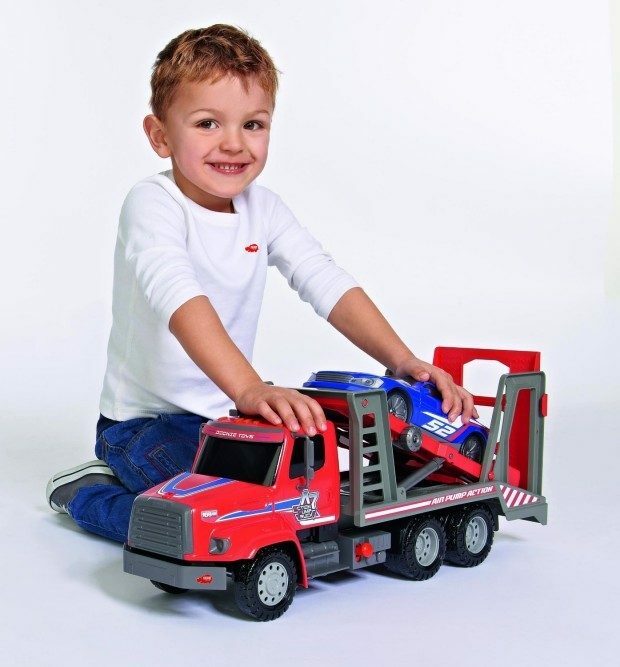 Head to Amazon to pickup the Dickie Toys Air Pump Car Transporter Only $9.09! (Reg. $30) Get FREE shipping on orders of $49+ or if you have Prime! The huge (22 inch long!!) Air Pump Car Transporter comes with a special pneumatic air pump feature to raise and lower the carrier deck. For even more play fun, the set features an additional free wheeling car! Pump the red button on the roof to raise the carrier deck and then hit the release lever to lower it with no batteries required! Great for children aged 3+.